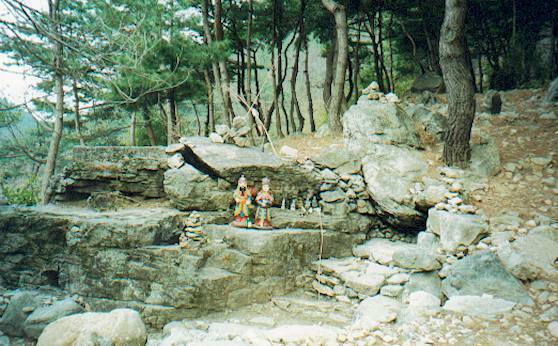 which is a small but dramatically-sited Buddhist temple about a mile behind (up a narrow stream-gorge) Shinwon-sa [Garden of the Spirits Temple]. 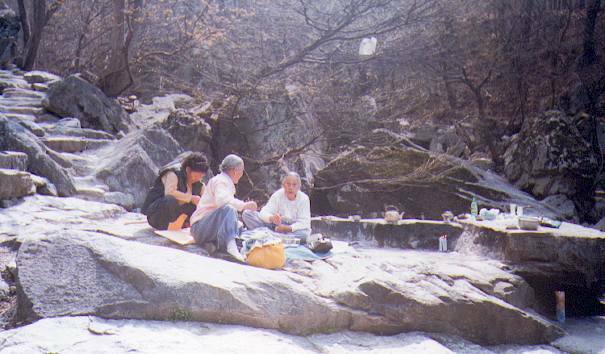 There's a high waterfall and plenty of exposed rock; the Heavenly-King Peak of Rooster-Dragon Mountain can be seen at the distant end of the gorge. 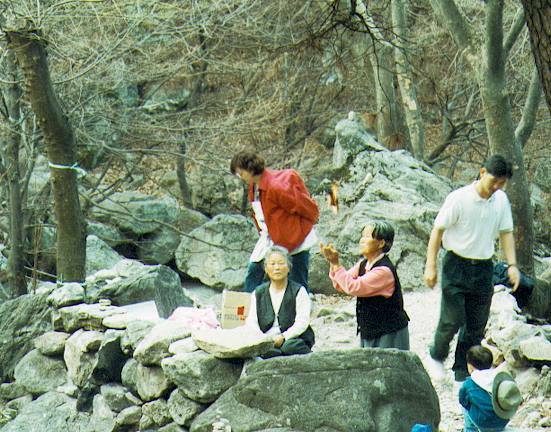 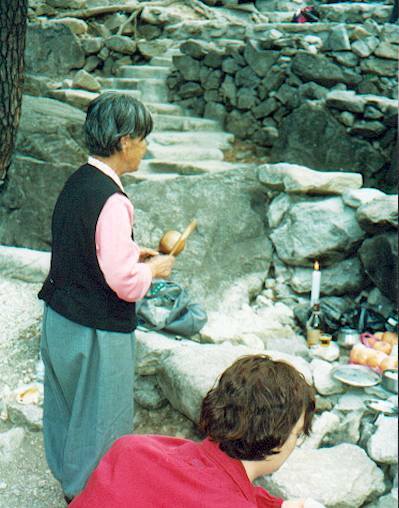 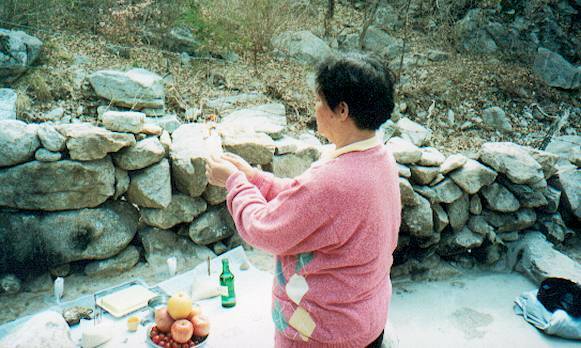 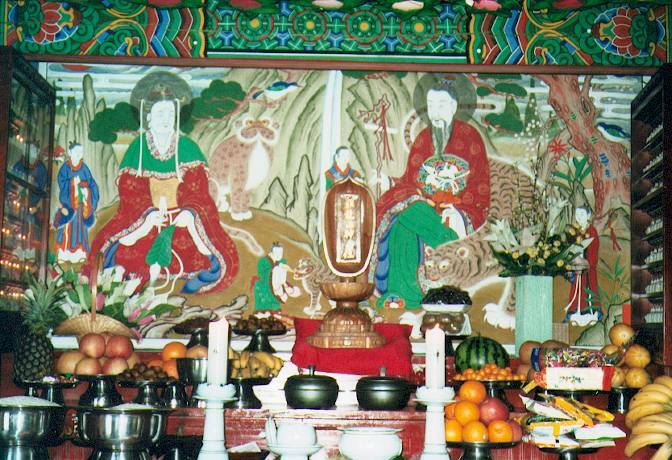 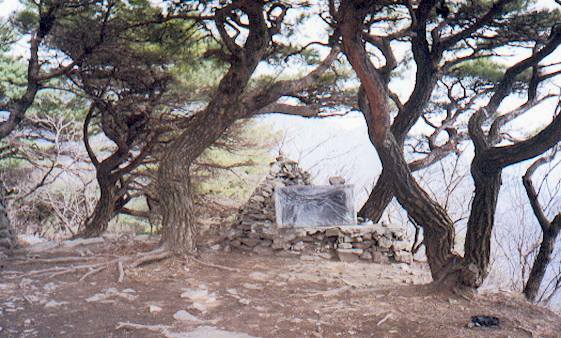 These photos were taken on the day of the Third Full Moon of 2001, but the kind of mountain-worshipping Korean Shamanism shown above is going on at this temple almost any day or night of the year -- it's a famous site for San-shin powers. 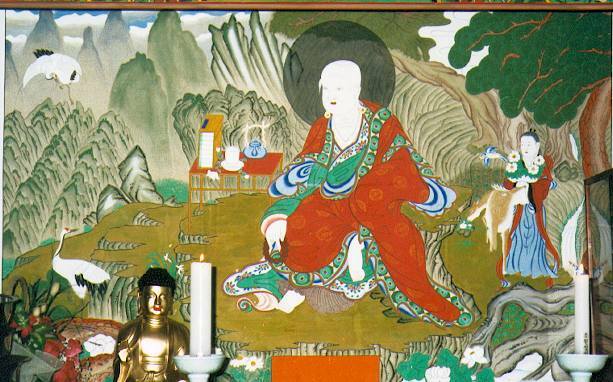 The excellent matching "Lonely Saint" icon, enshrined in the Main Hall; and the Bodhisattva of Compassion riding cross-legged on, yes, a Golden Dragon, on the outside wall of the Main Hall. 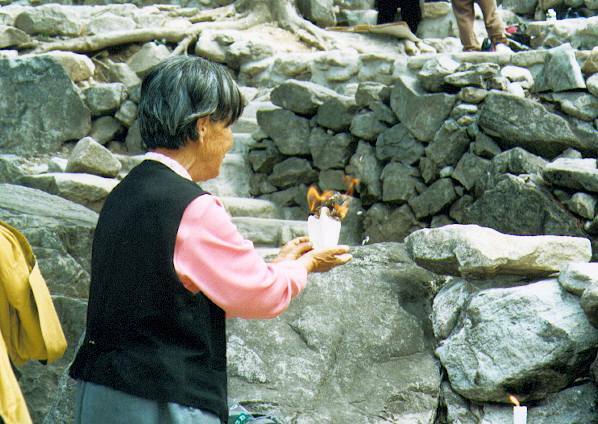 an elderly Mudang [Korean Shamaness] chants to the San-shin, then lights prayer-papers on fire and releases them flying upwards towards "Heaven".